Dub Dub and Away™ is a family run business providing Classic VW Campervan hire from our base in South East London. We have four early-bay (1970-1972) right hand drive VW Campervans available for hire, which have been lovingly restored back to their original glory including original interiors, exactly as they were in the 1970's with a few minor tweaks to make them more comfortable. Poppy, Honey, Sunny and Moneypenny are provided with everything you need for a fabulous holiday from a full dinner service for 4 people (we can cater for more if required), all of the necessary cooking equipment and a drive-away awning (a large attachable tent) that can sleep two additional people. Being right-hand drives, it makes them easier to drive around the United Kingdom, and we are sure that you will turn heads wherever you go and when you pull into campsites. We offer 2 bespoke wedding packages to get you to and from your wedding ceremony in monty, our Neptune Blue Campervan. Please Note: Due to our insurance providers restrictions, travel is restricted to the UK (excluding Northern Ireland) only and all drivers must be aged between 25 and 70. 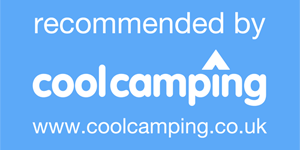 Lush Palm, a guide to surf travel and lifestyle, has featured us as one of the 12 best campervan rentals in the UK. *Please make sure that you fill out all of the required fields.